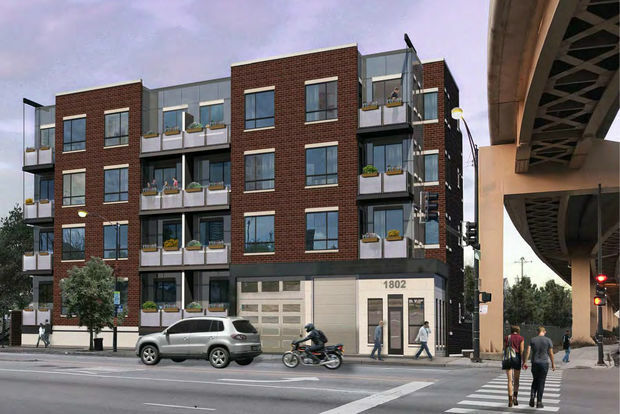 More information for new condos at the southwest corner of 18th and State was sent to us last week. As a reminder, we posted about a new 39-unit building coming last February. Details at that point were scant, but at the time we saw this as a sign of promise for the neighborhood and this specific stretch of the Sloop. It will be interesting to see how quickly these sell. While building has been brisk in the Sloop, they're mostly high-rises and town-homes. Midsize developments are different story, so we will be watching this one closely. Just saw this pop up on linked in and thought it was odd. 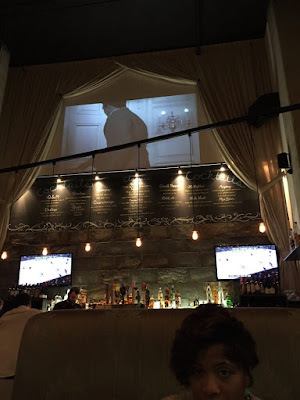 Is Pazzo’s closing or are they just selling the building to a new landlord? It says “perfect place for your client’s business” sounding like Pazzo’s is closing only a few months after opening. As a reminder Pazzo's opened quickly in December of 2017. Definitely seems like an ominous sign. Development Action at Southeast Corner of Wabash and 14th? What’s going on at SE corner of Wabash and 14th? Former parking lot now all fenced off. We haven't heard about anything going in there, but imagine it would be a nice little space for some row homes or something. A reader sends us the picture above which makes it seem like a new restaurant is opening at 2113 South State street next to Reggie's and the Asian Cajun restaurant. We've done some googling but couldn't find if this place has other restaurants. 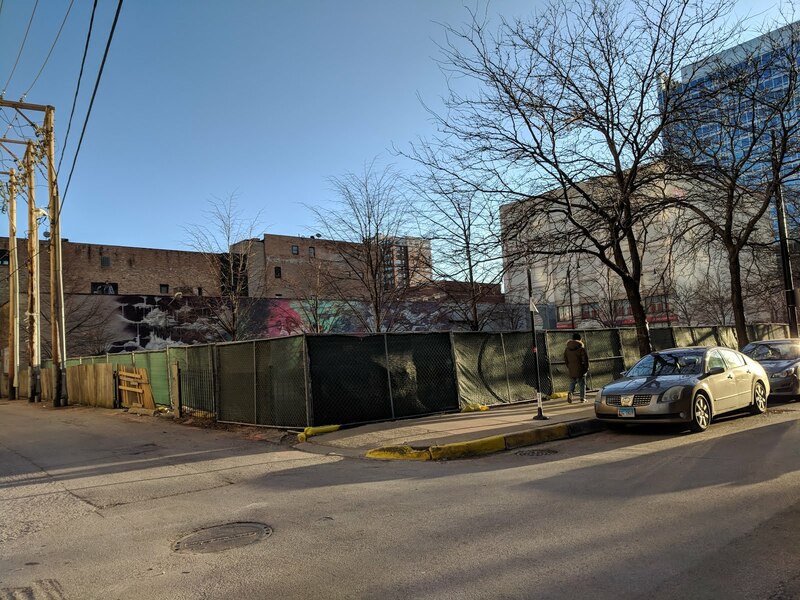 We wanted to report that we are in final permit release for our South Loop location at 1143 S. State Street. 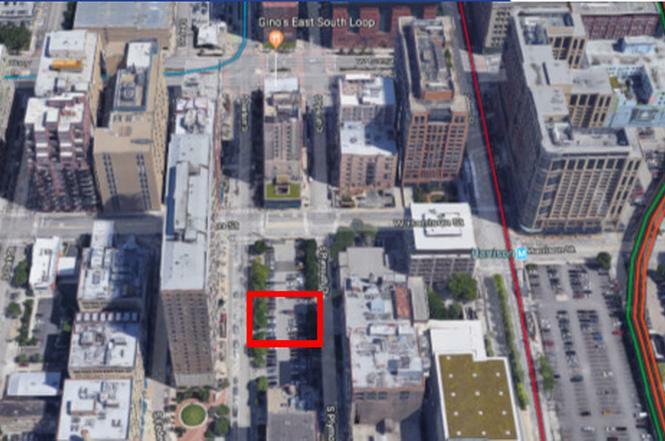 Our original planned location had to be aborted due to major challenges at 1130 S. Michigan (next to Yolk) but we are happy to have the space at State and Roosevelt. We will have 5 float tanks and some other wellness modalities so I wanted to make sure you had this information for your blog. Our projected opening is fall/winter of 2018, we are hoping to open by the holidays! As you may be aware Float Sixty was initially intending to come to Michigan Avenue but apparently that didn't work out. Anyway, we're excited to experience what these things do. Not sure if you've covered this, but I don't recall seeing it. All the Ash trees in Mark Twain Park are dead. The Emerald Ash Borer finally got them and over the winter they all succumbed. I first noticed the lines of holes last year and then some splitting bark on some of the trees. They're all completely dead now. I haven't counted but there must be a dozen 30-40 year old trees. Pretty sad really. The park will look pretty barren without them. The city will need to cut them down soon as some branches are already getting brittle and will start coming down during high winds. 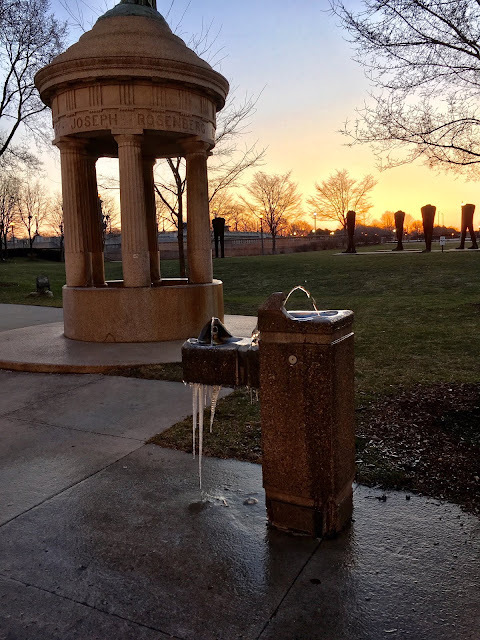 Could be seriously dangerous for people walking and playing. 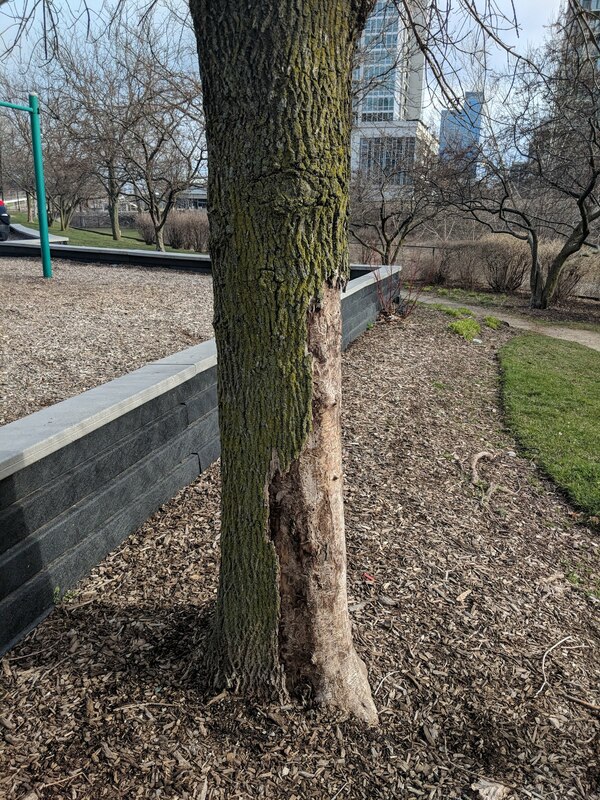 We did write about Emerald Ash Borer laying claim to some trees in Dearborn Park last year, but this is the first time we're hearing about Mark Twain Park. Regardless, definitely sad to see. 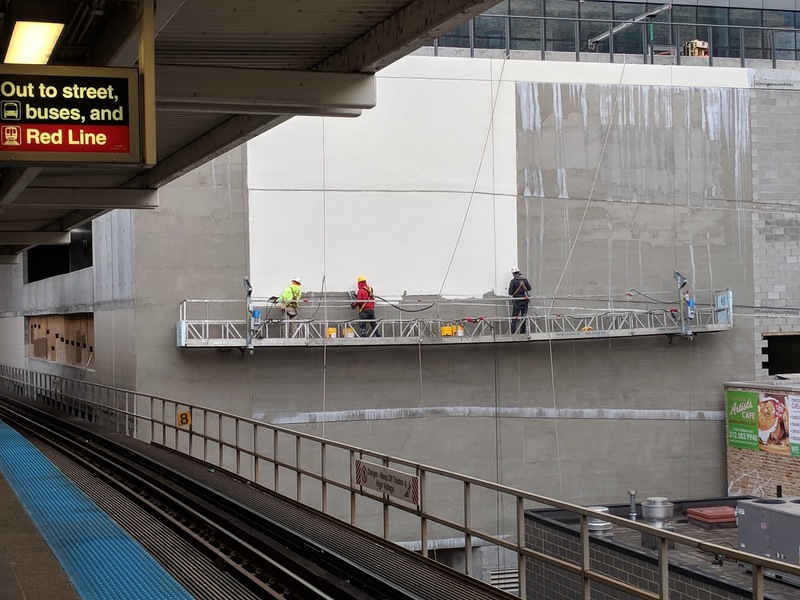 South Loop Rental Market "Challenged" in next 12 to 18 Months? We were driving around the South Loop recently and were surprised about the scale of all the buildings going up in the neighborhood. Yes, we've posted about them and spent a lot of time talking about them on Sloopin, but seeing all of them in the wild made us do a double take. 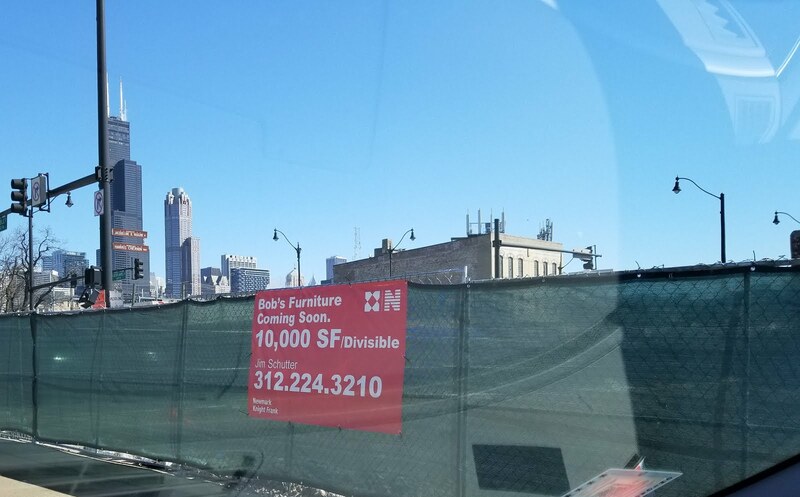 At the far end of the downtown area, in the South Loop, new inventory could present a bigger challenge. Crescent Heights is building a 792-unit rental tower called One Grant Park in an area that includes a 479-unit project being built by Oxford Capital and several other large rental projects. 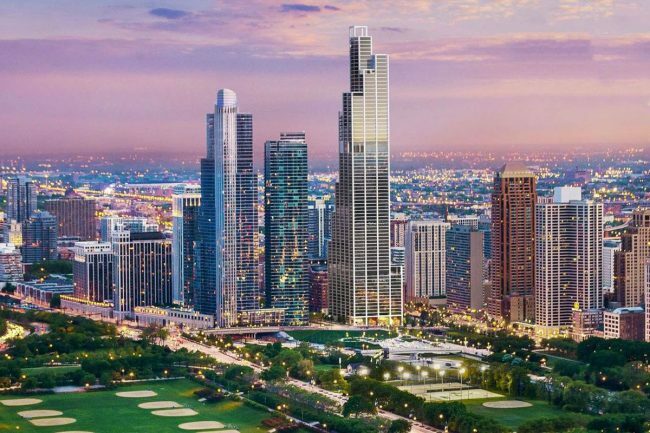 The projects will bring thousands of new units to a part of Downtown that doesn’t have as much of a longstanding history as a residential area as neighborhoods like Streeterville or the Gold Coast. 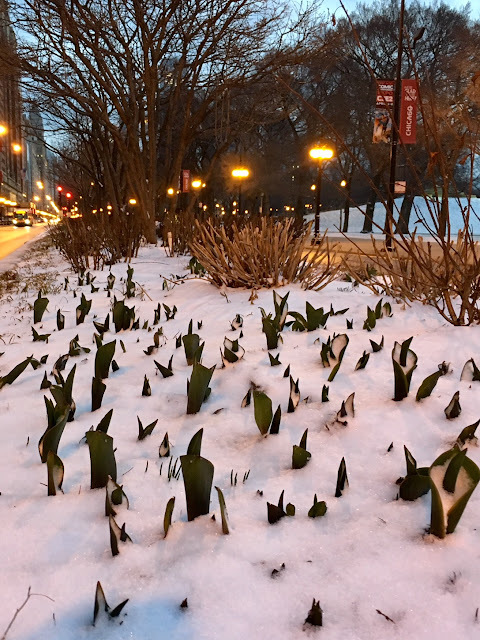 “I think the South Loop is going to have a few challenges 12 to 18 months from now,” Integra’s Ron DeVries told Crain’s in February. While that might be true, a bigger question in our mind is whether the oversupply will eventually get absorbed. While it's impossible to tell, we naturally are very bullish here. Upon that same trip where we were struck by all the developments, we were also amazed by the amount of foot traffic on stretches of the neighborhood that historically were light. That seems like a good thing for the vitality of the neighborhood...which we assume would be good for the real estate market. 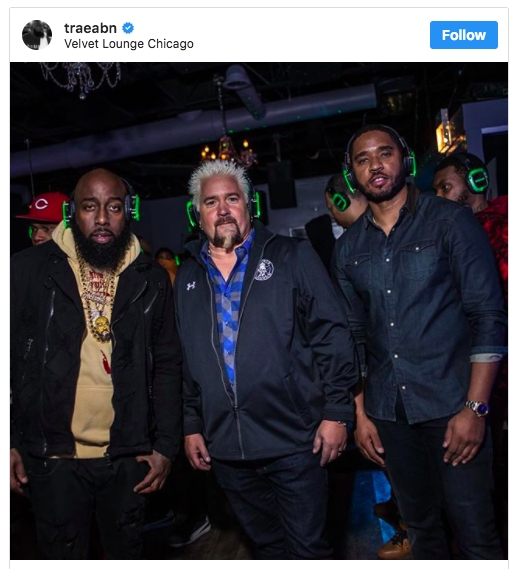 Later, rapper Trae Tha Truth posted photos of himself with Fieri at Velvet Lounge in the South Loop. Walking around Chicago on Tuesday, you might have been startled by a head full of bleached, spiked hair. Or maybe a bowling shirt covered in orange flames caught your eye. 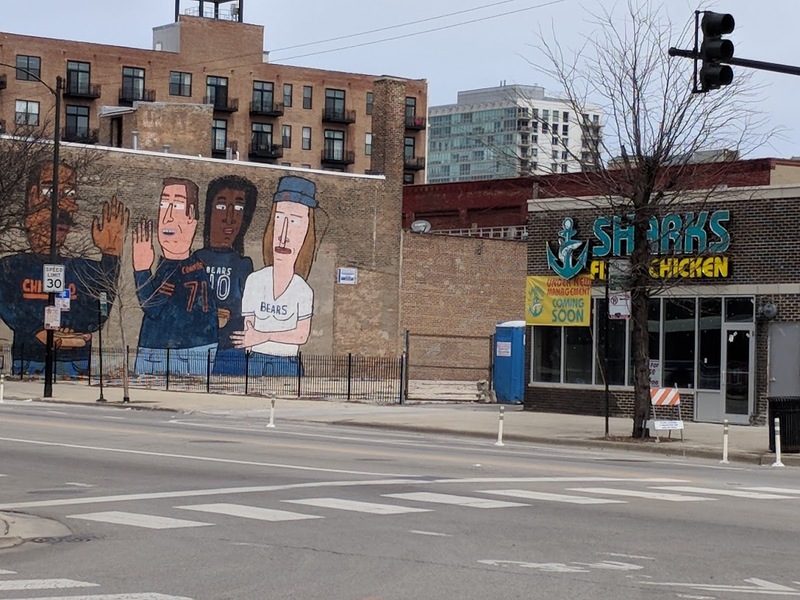 Wanted to quickly introduce myself and let you know that I've opened a new business in South Loop and thought you might want to cover it. I took over the space after Geek Fashion (69 E 16th street) and opened a kids music studio in its place. 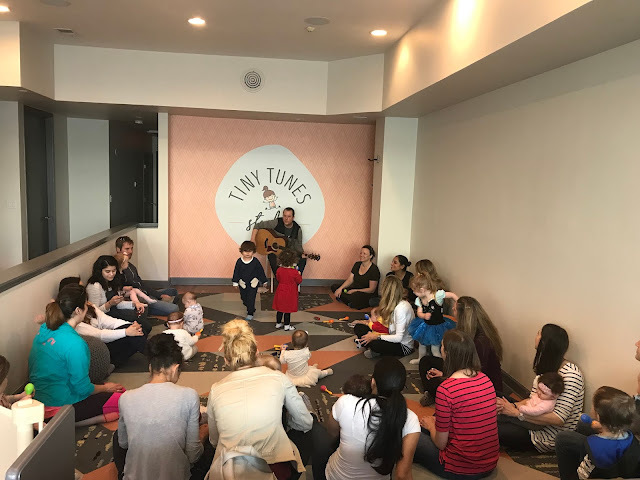 We officially opened our doors on Monday, April 2nd; the space is called Tiny Tunes Studio. We offer drop-in music, baby yoga and zumbini (zumba for kids!) classes. We're open 7 days a week and have 1-2 classes per day. We also rent our studio for private parties (kids' birthdays, baby showers, fundraisers, etc.) on weekend afternoons! While this stretch of retail hasn't always been kind to tenants, a kid friendly type of business could be a good fit. Best of luck to Tine Tunes Studio and looking forward to checking you out soon! Remember when we posted about a very disturbing incident at Target last week. Evangelist Franklin Graham has asked his followers to boycott Target stores after a man reportedly exposed himself to a child in the ladies restroom at one of the retailer's locations in Chicago. According to NBC Chicago, the man entered the women's restroom at a Target store in the South Loop on March 25 and went into a stall that was being used by a young girl. He then exposed himself to the child and left the bathroom. The police are still on the lookout for the suspect, who has been described as being black, about 30 to 40 years old, 5-foot-10 to 6 feet tall and weighing about 170 to 190 pounds. On Tuesday, Graham took to Facebook to express his frustration with the retail store's restroom policies that allow biological men into women's bathrooms. "Why is anyone shocked? 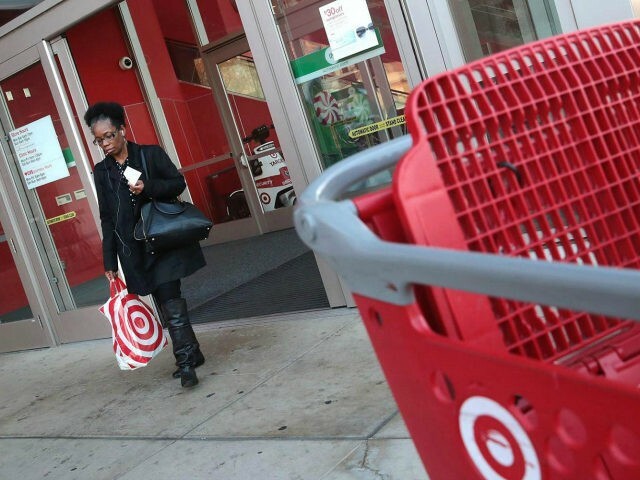 Target prides itself in its policy that allows biological men to use women's restrooms. On Sunday in one of their Chicago-area stores, a man entered the ladies restroom and exposed himself to a little girl who was at the store shopping with her mom," he wrote. We don't know much about Bob's other than their annoying commercials. Does anyone know if they have good stuff? good prices? We're not familiar with Sharks, but curious to hear some POVs. We're not very familiar with USA Vein Clinics, but according to their website this is one of three locations in the Chicagoland area. The company also has a larger national presence. For those who have been around awhile, this building (on the south side of congress between Dearborn and Plymouth ct) was an old Taco Bell. 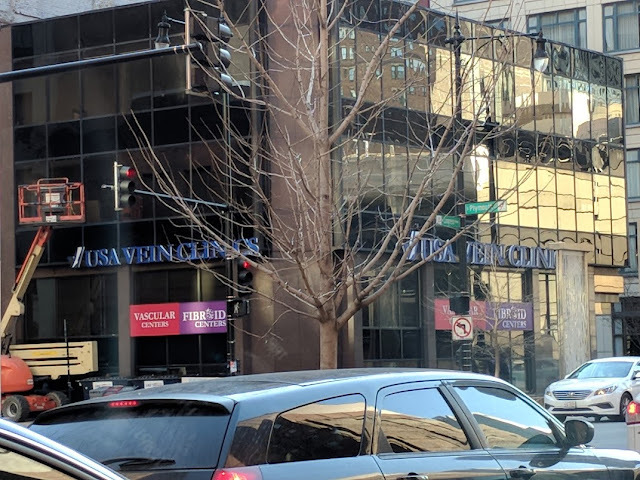 It's unclear if the Vein Clinic is taking over the entire building or just a portion of it.